Carl Davenport is in active recovery from alcoholism and drug addiction. He completed a residential treatment program in 1989 and is dedicated to helping clients and their families access the same kind of freedom and happiness he has experienced in recovery. He is passionate about recovery and driven to see his clients succeed. Carl is the Director of Intake and Community Outreach at Ventura Recovery Center and is involved in all phases of recovery. What makes him unique is his ability to keep his focus on results for his clients without being overly pushy or dominant. He credits his ability to temper his ambition while staying focused on results to 40 years of progressive leadership and management experience. When you call, you can expect a compassionate ear, a knowledgeable voice and someone who cares deeply about his clients. Bob Pautsch is also in active recovery from alcoholism & drug addiction. He completed a state mandated treatment program in 1988. His personal passion lies in seeing his clients’ eyes come alive after their spirit opens up to the possibility of a different way of life. 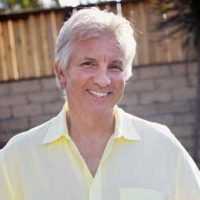 Bob’s experience at a prominent Southern California Treatment Center deepened his innate ability to remain calm in the midst of highly emotional situations. He excels at creating a safe emotional space for clients experiencing any degree of agitation in the early phases of their recovery. Bob is the Executive Director at Ventura Recovery Center. In addition to overseeing the day to day operations of the treatment center, he stays in close contact with the clinical team to ensure that each client is receiving the best care possible. Danielle Joel conducts individual, family, and group therapy sessions at Ventura Recovery Center. 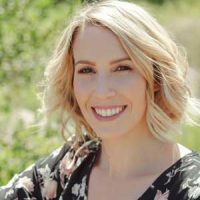 Danielle is a Licensed Professional Clinical Counselor, registered by the California Board of Behavioral Sciences (#4677). Danielle achieved a bachelor’s degree in psychology from UCLA in 2009 and a master’s degree in psychology from the University of Pittsburgh in 2013. Throughout her university experiences, Danielle was involved in important addiction research conducted in the research labs of well-known scientists in the field. Danielle has always had a passion for studying the underlying causes of addiction and for studying helpful interventions to treat substance abuse problems. 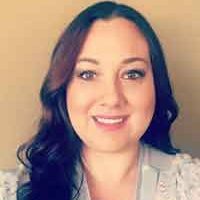 Danielle is grateful to work at Ventura Recovery Center where she can use her skills to help people transform into the beautiful and resilient individuals they are destined to be. Randi Halcon is a Licensed Marriage and Family Therapist. From an early age, Randi knew her passion in life was to help others. In 2008 Randi received her Bachelor’s degree in Psychology from California State University of Northridge. After working with children with Autism, Randi pursued a higher level of education and went on to receive her Master’s degree in Counseling Psychology with an emphasis in Marriage and Family Therapy from California Lutheran University in 2012. Randi has since gained experience in working with adolescents and adults who struggle with mental health and addiction issues. Randi utilizes an eclectic approach to humanistic, cognitive behavior and psychodynamic therapies. Randi believes that all people make a variety of mistakes throughout life and utilizes a person-centered approach to help people learn to practice love and acceptance of self while healing from painful past experiences. 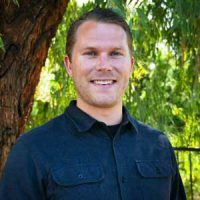 Chris Ryan is a dedicated member of Ventura Recovery Center’s team, managing and overseeing the daily activities of our Residential and PHP Facilities. Chris has been sober since 2013 and he is an active member of Alcoholics Anonymous. Chris has devoted his life to helping other alcoholics and addicts not only maintain sobriety but to thrive in many other aspects of their lives. He offers support and encouragement to our clients every step of the way, while always contributing a few laughs. 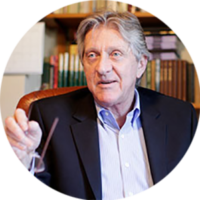 His passion for recovery and personal experiences in the grip of addiction makes him invaluable to our clients as they go through this journey. Michael Baxter has been in recovery since 2012. He attended a treatment center almost 5 years ago where he had finally realized that he could no longer keep battling his addiction. After surrendering to Alcoholics Anonymous, Michael has dedicated his life to helping others. 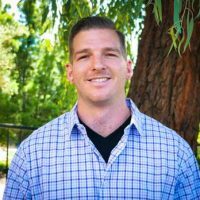 Michael is an Operations Manager at Ventura Recover Center’s sober living facility and finds fulfillment helping struggling alcoholics achieve long term recovery and sobriety. He is always available to lend a helpful hand to anyone who needs his help. Michael truly loves his job and could not see himself working in any other field. Katherine Kada is a case manager as well as a residential tech at Ventura Recovery Center. Katherine is a CAADE intern and registered through the California Association for Alcohol and Drug Educators. She completed her education courses in Addictive Disorder Studies at Oxnard College. 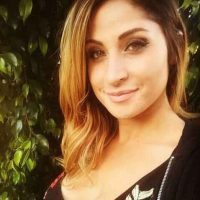 Katherine studied at Cal State University Channel Islands and Kaplan University and received her bachelor’s in Psychology with an emphasis in Substance Abuse in 2013. She has been involved in 12 step groups since 2014 and uses her own personal experience and recovery to empower clients through the treatment process and to help aid them in building lives again. Katherine is grateful to work at Ventura Recovery Center because not only is she able to provide compassion and encouragement as a residential technician to our clients when they first enter treatment but also provide guidance and assistance to clients in case management, helping them put together the stepping stones to a new life without the use of alcohol or drugs. Randy Thompson is a passionate addiction counselor who has been blessed with the gift of disturbing the comfortable. Randy has many passions, but none greater than watching the transformation of an individual who considers themselves to be hopeless, later becoming interested in living a life they know is a gift. He is an active member of the California Association for alcohol/drug educators. Randy is also active in recovery from alcoholism and drug addiction for over 20 years. Randy was fortunate enough to enter and complete a long-term rehabilitation program in 1993 in which he is eternally grateful for and understands the importance of building a solid foundation in early recovery. 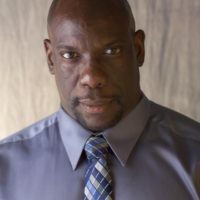 Randy enjoys coordinating groups of people to cater to the homeless on skid row as a means of giving back as well as pushing overall health (physical, emotional, mental and spiritual) to recovering alcoholics and addicts. Randy is convinced that an exercise regimen is essential to maintaining recovery. He also understands the importance of twelve step meetings, sponsorship and the application of the twelve steps as he joins in with the rest of the treatment team at Ventura Recovery Center to persuade clients to follow the path that so many have traveled. Randy provides services for the clients of VRC at the location of the Center for Change as the Intensive Outpatient Coordinator. Here, Randy addresses treatment issues as well as day to day living issues with the assistance of the treatment team. 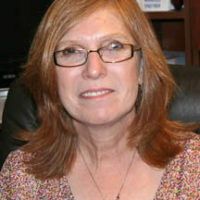 Donna Paul has joined our treatment team as counselor. Donna is a Certified Addictions Treatment Counselor, Level III, who has been facilitating groups and counseling individuals since 2009. She is an active member of the California Association for Alcohol/Drug Educators. She has several years of personal, 12-step based recovery and is thankful to be able to share this, as well as other recovery and relapse prevention tools, with those who are fighting addiction. She is passionate about recovery and the life available to those who choose this path. In addition to her work, Donna enjoys hiking, traveling, reading and baking while in the company of family and friends. In the interview, Carl talks of his personal experiences with his own recovery and how that helps him relate to our clients. He also describes some of the many programs we offer that create a community of healing at Ventura Recovery Center. We help our clients learn to live a “life of purpose, passion and fulfillment.” To learn more, please visit Recovery Today Magazine.